It’s picture book review day! I’ve caught up on reviewing the nonfiction I’ve read lately and the books I hope to read this season. Now, it’s time to talk about the picture books my children have loved lately! Reading books together is one of our favorites things to do. Our library card is almost always maxed out on items checked out. Isn’t that the way it should be? =) Here are our recent discoveries and current favorites. 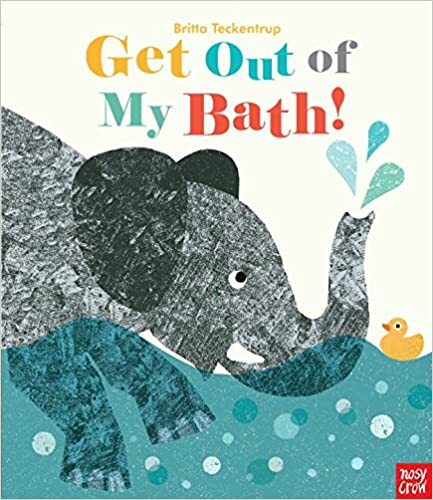 An interactive book about an elephant with too many bath buddies, this one is silly and fun, especially right before bath time. Violet loves the part when the narrator tells the reader to say, “Get out, crocodile!” She uses her deepest voice. This book also might aid a little bit in teaching children the idea of right and left. Just a tiny bit, though. We have several of Britta Teckentrup’s books in our library basket this week, thanks to a good recommendation from a friend. Tree is my favorite so far. I don’t really have to say much about this one do I? It’s well-loved. Violet wants to read it pretty much every day at nap time. The beach house we stayed in during the last week of September had several Curious George books that Violet loved, but this one was her favorite. We are now picking one out each time we go to the library. It’s funny how each of my children seem to really latch on different book characters at this age. 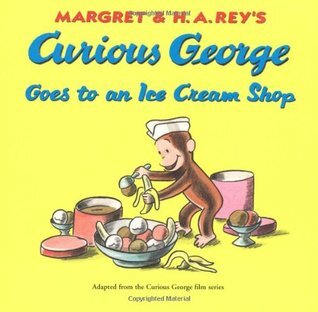 Her siblings never loved Curious George, but Violet seems to relate to his mischief and mayhem. I just hope the books help her live that out vicariously instead of practically. Ha. I wouldn’t have picked this one, but what boy can resist it on display at the library? Turns out, it is pretty fun to read aloud, though I leave out a few words based on family preference (nothing terrible, just a couple of “dumbs” that I think we can do without). 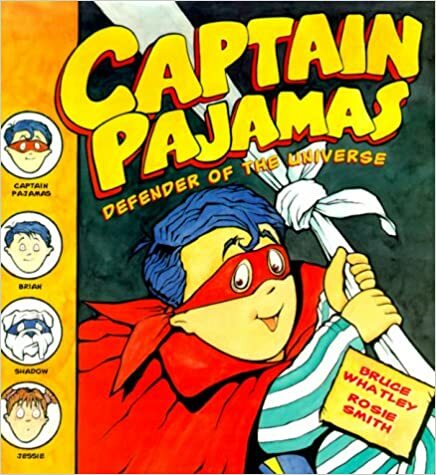 Captain Pajamas/Brian is a little boy who longs to do big things and keep people safe. The hidden message I gathered from all the silliness is that reminder for grown ups: little boys need to be encouraged to do big things and take on challenges. But mostly, it’s a funny book with a comic feel that little boys who want to be big boys will enjoy. 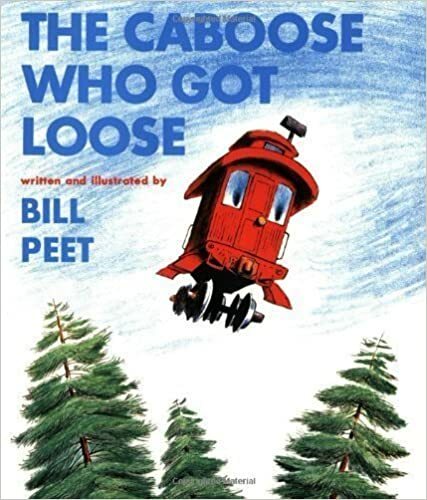 Isaac loves the drawings of Bill Peet. 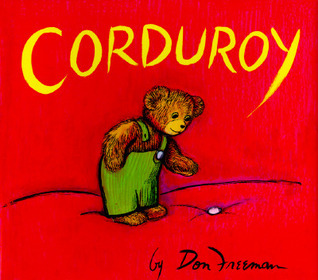 We’re just getting into his children’s books because they are a on the long side for little people. This one reminds me of Virginia Lee Burton’s The Little House. I suspect it will make both you and your train-loving children very happy. The Dinotrux series was Isaac’s library discovery last month, and I have never seen him more excited about finding his own books. He plopped right down in the aisle and looked through all of them, and then you better believe my husband and I had to read the three he brought home over and over again in the following two weeks. (Also, many thanks to the aunts and uncles took some turns during our big family beach trip). I’d still vote the Jim and Kate McMullan truck books way over these, but if you’re looking for more truck books for your children, these are probably going to be a hit. Just please don’t send me nasty messages about how many times you have to say things like “grrr” and “boink.” That’s just life with truck books/boys. The bonus for this book? 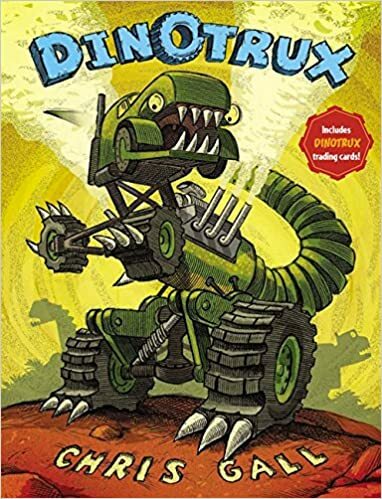 There are Dinotrux toys to go with the books. You may or may not want to keep that detail to yourself…. A new Fancy Nancy release always makes Ella’s day. She has been a fan for several years now. This newish (2015) book is about Nancy and her youngest sister sleeping over at their neighbor’s house while their parents go on an overnight trip. Nancy has to use her best big sister skills to help ease little JoJo’s fears about being without her parents. Nancy does a great job, and also discovers that she gains comfort from having a little sister close by. It’s a cute sibling story. On the Fancy Nancy subject, Ella is thrilled to find that Nancy is in her own set of chapter books now. 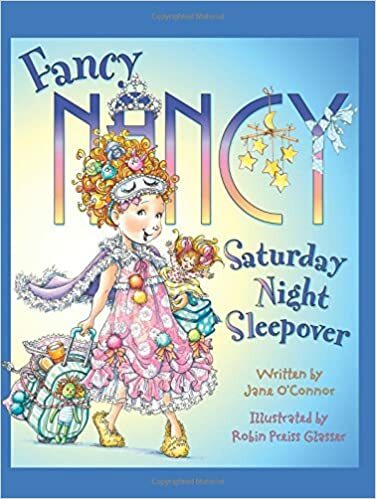 The Nancy Clancy series is perfect for developing readers who have grown up with Fancy Nancy. Ella is on book 3 and I’m loving how she is gaining confidence in reading her own chapter books. This is the only picture book I can remember Ella picking out herself lately, because she’s so into chapter books now! I’m glad she loves to read and is progressing rapidly, but I could just weep over how grown up she is becoming. Moms are so weird like that. She still loves to read picture books with the rest of us, though, so I’m treasuring these days while they last. That sums up our favorite picture books for now. Happy reading!